The sale or purchase of a home, whether it’s your first or your fifth, is not something you enter into lightly, and that’s as it should be. For many of us, a house is one of our life’s biggest investments in both a financial and emotional sense, and where we live shapes how we live to a significant extent. This is why it is so important that we make the right choices when it comes to a home and a neighborhood; and this is why you will want to have the right Burbank, California Realtor by your side if you’re buying or selling a home in this sunny Southern California city. Whether you’re looking to choose the right property from among the many Burbank homes currently available, or you want to sell your home here for the best possible price, an experienced and knowledgeable Burbank, California Realtor like Dan Soderstrom can make it happen with maximum efficiency and a minimum of fuss. 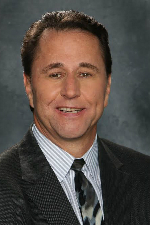 A second generation Burbank, California Realtor, Dan has lived and breathed Burbank real estate for years and has been a real estate professional for over two decades. Couple that with his being born and raised here and being heavily involved in the community and you get the unbeatable combination of in-depth, personal knowledge and professional expertise. If you want to work with a Burbank, California Realtor who will not only provide you with the latest Burbank real estate market news, but who also knows all there is to know about the distinct features of each neighborhood, then you’ll want to talk to Dan today. Get started in your search for the right home or the right buyer here at dan4realest8.com by exploring the listings and Burbank resources pages. Get in touch with Dan to learn more.